*check out my video about the Sinsa neighborhood in Seoul, where I found the flagship 3CE store! The makeup scene is one that is ever changing. There are always new brands popping up with the latest and greatest products. 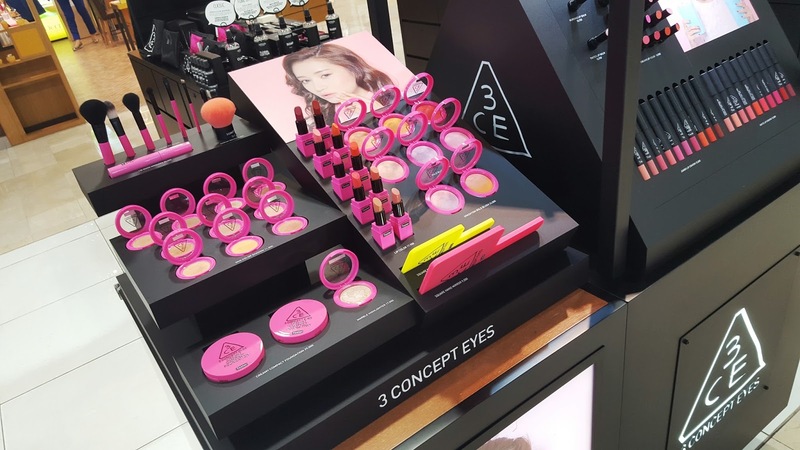 I stumbled upon 3CE a while back after one of my favorite Thai makeup artists, Peary Pie, posted about it on Instagram a while back. 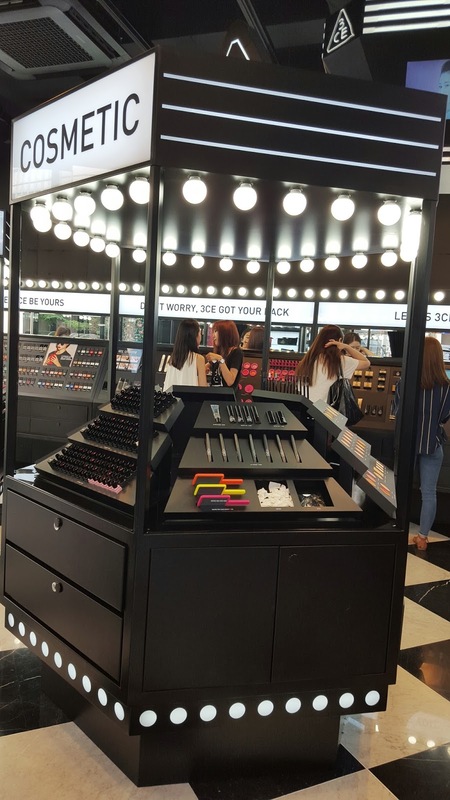 I didn’t realize it was a Korean brand, launched by Stylenanda, until a small kiosk finally opened in the local department store. 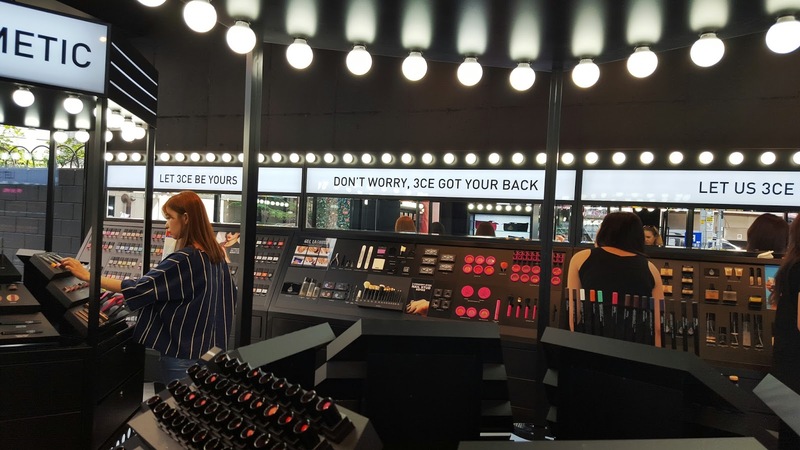 The black and hot pink stood out in the middle of the usually conservative department store atmosphere. 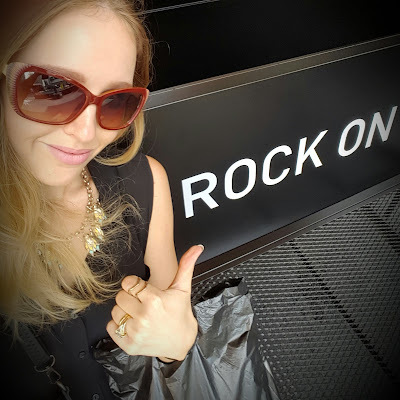 I found out their flagship store was in Sinsa, so I thought I’d stop by while I was shopping around the neighborhood. The flagship was tucked off the main street and is a giant black and glass beacon. 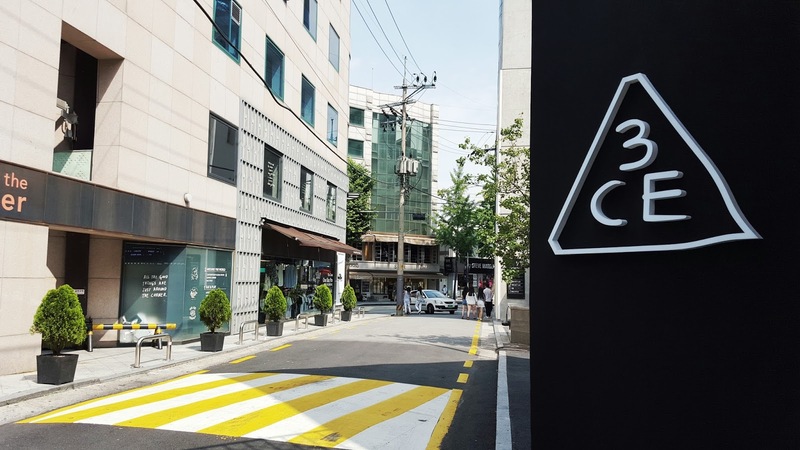 You can see it from the main road if you know when you’re looking for, but if you’re walking on Garosu-gil from Sinsa station, hang a left at Around the Corner and you’ll see it. The décor features an old cinema theme, complete with lights, velvet ropes, and a box office checkout. 3CE really focused on clean, crisp skin and a pop of color on the lips and nails. They really follow the baby skin look that is so popular in Korea. Gradient lips and lip stains are still on trend here. Two products that I really like are the matte lip crayon (lip/cheek stick) and the lip marker (lip/cheek stain). They can be used on the lips and cheeks, so it’s a great multi-purpose product. The tint can be applied for a light, gradient look and layer the matte color on top for a fuller coverage. This flagship store was so fun to visit and a great place for some outside photos. 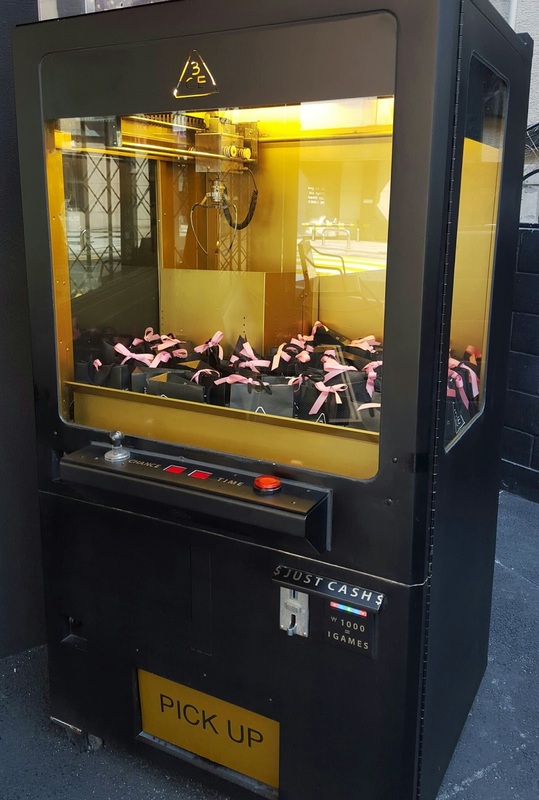 They even had a makeup claw machine! How awesome is that?! 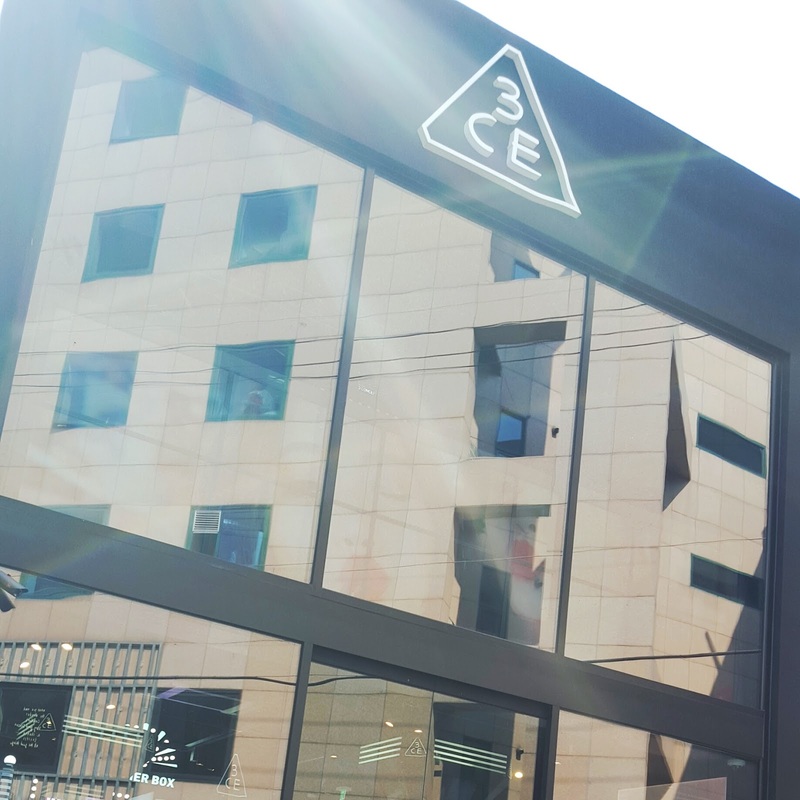 Have you tried 3CE? Let me know what you think. 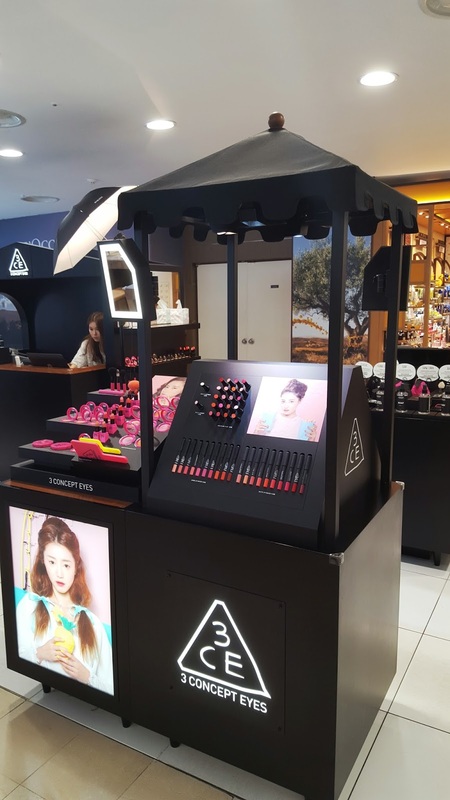 If you are not in Korea, but still interested in trying this brand, they do offer reasonable international shipping! Make sure to sign up for their membership card and get a discount. You can order all your goodies on their Stylenanda page.